Keeping up with the hectic Mumbai office routine will eventually take its toll on the mind. Thankfully, this well-connected city is close to some of the most idyllic locations, where one can escape the crowds and enjoy some history and culture while at it. Adventurous travellers can now quickly hire a car and hit the road for an impromptu weekend trip. There are many options of places to go – from natural getaways to cultural hubs. With a comfortable ride and an urge to discover new things, travellers can look beyond the usual list of places to have a memorable and exclusive experience. Here are some offbeat destinations which can be easily reached from Mumbai. Silvassa is a small coastal town that is barely mentioned in tourist itineraries, making it a hidden treasure. Some of the things to do in Silvassa include a walk in the charming Island Garden near the scenic placid waters of the Vanganga Lake and a visit to the Hirwa Van Gardens. The paddle boats at the lake are a very popular attraction. Silvassa is also home to a Lion Safari, where one can see up close, the endangered Asiatic Lions that are found only in India. The Portuguese influence here can be seen in the Our Lady of Piety Church while the Tribal Museum showcases the many indigenous cultures of the region. Mumbai to Silvassa is a 3-hour journey via the NH48 so it can even be squeezed into a day trip with an early start. Another prime attraction of Kutch is Dudhni Lake, and the short drive here is full of verdant scenery and winding lanes. The place is a favoured picnic spot for locals and has water sports facilities. The desolate landscape of the Rann of Kutch can be a perfect alien planet for a sci-fi show. An offbeat destination if there ever was one, the salt flats and marshes of Kutch, apart from the striking other-worldly scenery, also provide the habitat to some rare species. The Kutch Desert Wildlife Sanctuary is home to the Great Indian wild asses, black bucks, hyenas and Indian wolves. Photographers who visit the sanctuary can enjoy capturing these animals with the unique expansive setting. A safari is the best way to experience the stark wilderness, which is surprisingly full of hidden life. The Kutch district is also home to some precious architecture, remnants of a bygone royal age and seldom mentioned in regular tourists itineraries. The Kutch Museum is home to an exhibition of the extinct Gujarati script amongst many other precious architectural artefacts. The Italian Gothic architecture provides an additional allure to this regal Kutch landmark. The Rann of Kutch is also becoming a hub for adventure activities. The lack of light pollution and its isolated geography makes it an ideal place for star gazing. Those who want to feel the rugged salt plains up close can hop onto an ATV and explore. Kutch is also famous for its colourful and distinctive tribal cultures. A visit to this part of India will not be complete without some shopping. The handicrafts and textiles of Kutch are world famous. Many visitors drive around the small towns exploring old traditional markets to get a good bargain and also soak in some vibrant daily life scenes. The journey to Kutch is a long one with some great stops on the way – the 930-km route via the NH48 passes through Ahmedabad and Surat. Other recommended detours in the district are the coastal town of Mandvi and the town of Bhuj, famous for its heritage buildings. One of these is the Aina Mahal, an epitome of lavish architecture from India’s royal days. The marble and glass structure, which was built in the 18th century, has a museum too. Close to the town of Satara and around 280 kms south of Mumbai, the Kaas Plateau is a unique ecosystem known for its wildflowers and rare butterflies. An elevation of above 1200 metres makes this a pleasant destination for those escaping the heat and humidity of Mumbai. Kaas is a wonderful sight in full bloom – when the entire high plateau gets bathed in a surreal mix of colours. It is a pre-historic landscape and home to flora that is not found elsewhere in the world. Shutter bugs will enjoy capturing the thousands of natural hues that they will see while exploring the plateau. The charming forest-side setting of the Bamnoli Lake is another highlight of this destination. Travellers can enjoy a meandering boat ride on its placid currents to enjoy a 360 degree view of the surrounding landscapes. Sajjangad Fort is a popular attraction near the plateau. It was here that the famous 17th century saint Ramdas spent his last days. The fort has changed hands many times and was captured by Shivaji when he defeated Adilshah. Visitors can enjoy spectacular views from the summit and there are some good trekking routes in the surrounding hillocks. The Vajrai Waterfall is a must-visit natural landmark. Falling from a height of above 250 metres, it is one of the highest plunge waterfalls in the Indian sub-continent. The Ekiv waterfall is another natural highlight of the region around Kaas Plateau. Steering clear of the beaten path will lead to many surprising discoveries. A true road trip is that which is enjoyed on one’s own terms, a reason why smart travellers are choosing self drive options. When it comes to car hire Mumbai has the best options. 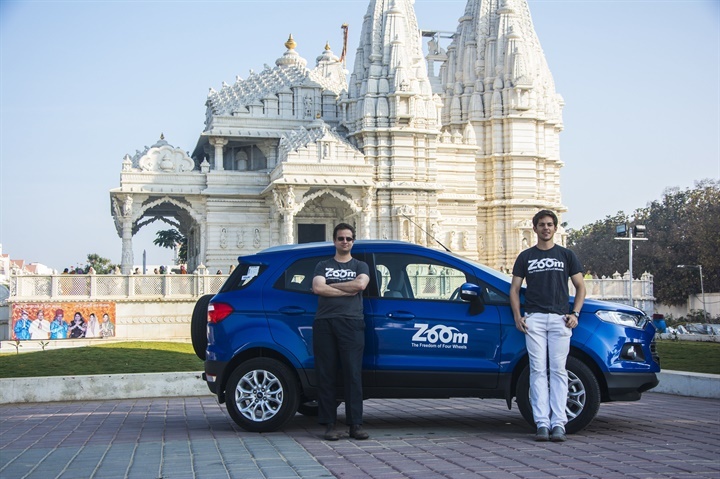 App-based Zoomcar provides the latest models of hatchbacks, sedans and SUVs at the cheapest rates and 24/7 on-road support adds more security to the experience – ideal for those journeying with their family or women travellers. All-India permits make inter-state travel a fun and hassle-free experience. The curiosities of the West Coast are aplenty for those willing to look away from the beaten path. After a hard week’s work, they give an opportunity to get away from the crowds. Hit the road and enjoy these eclectic destinations from behind the wheel.